This is the pair of blouse and skit that I mentioned in my blog post here. I bought the pair for half of its original price. The combined price is P1,890 and I only paid P945. My daughter can use the blouse and skirt as separate piece with another outfit. 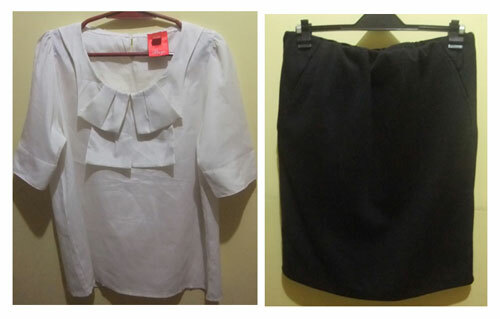 This entry was posted in Fab finds, Outfit and tagged Baccalaureate Mass Outfit, fab finds, fab outfit on March 18, 2013 by Mommy Yam.